The airport on Kauai, formally known as the Lihue Airport, is likely the first place you’ll step foot on Hawaii’s “Garden Isle.” Hundreds of thousands of people enter Hawaii through the Kauai airport every year, the beginning of a journey they won’t soon forget. Before racing off to the beautiful beaches, hiking trails, caves and canyons the island has to offer, you need to address some basic practical concerns. After all, an important part of this planning involves flying in and out of the islands. Below is your guide to the Kauai airport so you can have a seamless trip to and from Kauai vacation rentals. There’s only one airport on Kauai, the Lihue Airport (LIH), a key point of entry for both overseas and inter-island flights. Most incoming flights come from Vancouver, Honolulu, and Kahului. 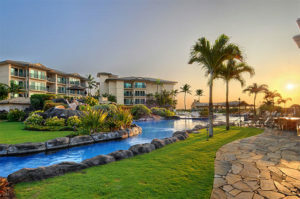 Travelers can use the airport address, 3901 Mokulele Loop, Lihue, HI, to locate the airport in proximity to local beaches, attractions, and the Waipouli beach resort and spa a short drive up the coast. The airport is located in the capital city of Lihue, on the southeastern coast of the island. The FAA officially labels the airport as a small-hub primary commercial service facility. 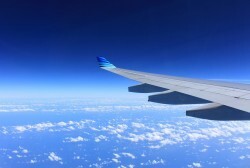 Its five most popular destinations, incoming and outgoing, are Honolulu, Los Angeles, Kahului, Seattle and San Francisco. In 2017, about 700,000, 265,000, 135,000, 94,000, and 72,000 passengers, respectively, traveled between these cities and Kauai. Interestingly, the entire check-in is outside. The open-air airport is small and breezy, perfect for those hot summer days. It is home to 24 based aircraft, and serves about 2.6 million passengers yearly. 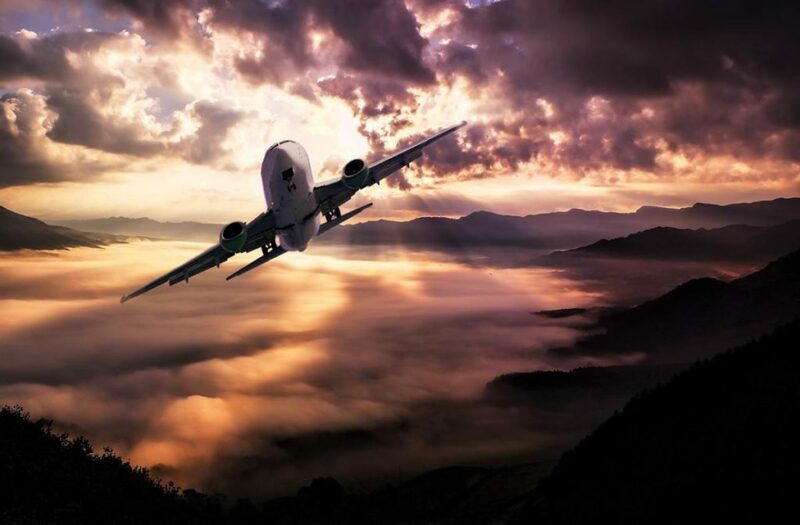 How early should you arrive for your departing flight? It is recommended you arrive at least two hours prior to departure to ensure a stress-free airport experience. This may vary based on your personal comfort, but it’s better to be safe than sorry – there could be unexpected delays. Check for any flight delays prior to your arrival to the airport. Once at the airport, take note of flight departures to stay on top of gate changes and any other pertinent details. Fortunately, the airport is small enough for you to navigate the gates with ease and find what you need, including restrooms and cafes. What airlines utilize the airport? Many airlines use the Lihue Airport. Despite its smaller size, it plays host to a roster of regulars, both domestic and international. This includes Alaska Airlines, American Airlines, Delta Air Lines, Hawaiian Airlines, United Airlines, US Airways, and WestJet. All of these airlines fly direct to Lihue. Inter-island travel is extremely popular. You can fly into Hawaii by way of the Honolulu International airport, but remember that Hawaii is made up of independent islands, and you’ll have to catch another flight to get to Kauai. While it’s only about a 20-minute flight via inter-island carrier, it may be smarter to save time (and money) by flying from the mainland directly to the Kauai airport. How to get to Kauai Calls accommodations? Lihue Airport is convenient and well-organized. 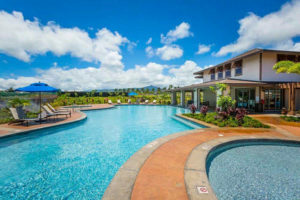 There are many amenities and features available at the airport, and getting to your Kauai beach resort should be a breeze. For example, both Lyft and Uber are authorized for drop-off and pick-up at the airport on Kauai. These are limited on the island, so many still use taxi’s or shuttles. The island is small enough to make vehicle travel affordable, and you can rent a car upon arrival. Dollar Rent a Car, Alamo, Avis, and Budget all have kiosks at the airport. It is highly recommended you book a vehicle rental ahead of time, especially during high season. Several incredible restaurants are available in downtown Lihue for your first meal on the island, offering your first taste of Kauai’s diverse, locally sourced, and captivating cuisine. 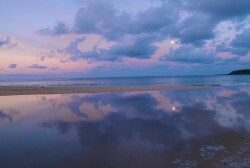 For more information on getting to Kauai vacation rentals from the airport, contact us. 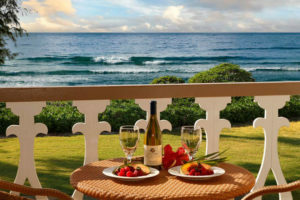 We can help guide you to a top luxurious Waipouli Beach Resort and Spa or other splendid Kauai rentals so you can get started on your Hawaiian vacation with a warm welcome and in the utmost comfort.